Presidio Hill School has a long tradition of being a supportive learning environment for a wide range of students. As a progressive educational institution, the school's curriculum, talented teaching staff, and focus on project-based learning and educating the whole child allow children of a variety of learning styles to be challenged and stimulated. In keeping with the school's commitment to diversity of all kinds, we believe a variety of learning styles enriches the learning experience for all our students. 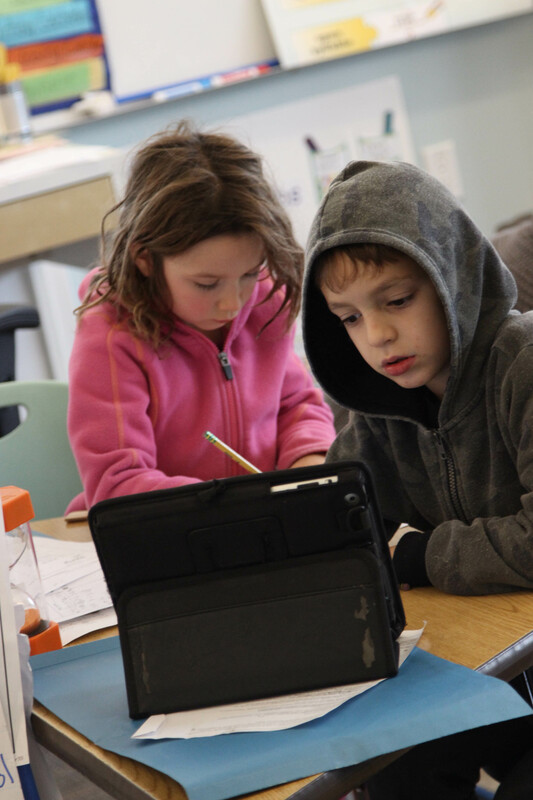 Learning Services at Presidio Hill provide support to those students requiring additional assistance, and teachers strive to differentiate instruction to meet the needs of all learners. We do not have an individualized curriculum for students with learning differences, emotional difficulties, or those needing significant academic extension. What kind of learner is supported at Presidio Hill School? Students who have good support systems are most successful at Presidio Hill School. The existence of this support often is the single most important determinant as to whether a child is successful at Presidio Hill or not. Students who have a family support system that is passionate about helping the child grow are often successful. This support must come in a variety of forms: parental understanding and acceptance of the learning challenge, open and regular communication between home and school focused on problem-solving rather than placing blame, and outside educational specialists to help with remediation. Parents may become experts in the field of learning differences and spend considerable time learning about their child’s unique learning profile and the variety of remediation avenues available. Almost all students who are struggling in school benefit from outside tutoring, occupational therapy, counseling, or other therapies designed to help strengthen the weaker areas of learning. Additionally, tutoring that helps with the completion of schoolwork and homework is often necessary. Unfortunately, this support system can be expensive and families will need adequate financial resources to supplement their child’s educational experience in a manner that allows him or her to be successful. I like how when (the teachers) are teaching you, they teach you, not the whole class. They think of you as an individual.